Dartmoor exists as 953 square kilometers or 368 square miles of open access Crow Act 2000 land that can be visited relatively unrestricted throughout the year. The restrictions in place are time and location limited see Live-firing and rarely presents an issue for the walker. You are therefore free to plan your walks and even some camps on Dartmoor without consulting any landowners, other than that of the Ministry of Defence, for your own well-being. Self-guided walks – From here you can link to our recommended list of easy to moderate self-guided walks on Dartmoor. We have provided a summary of each walk, along with a google map and photographs of some of the more interesting features that you’ll pass. 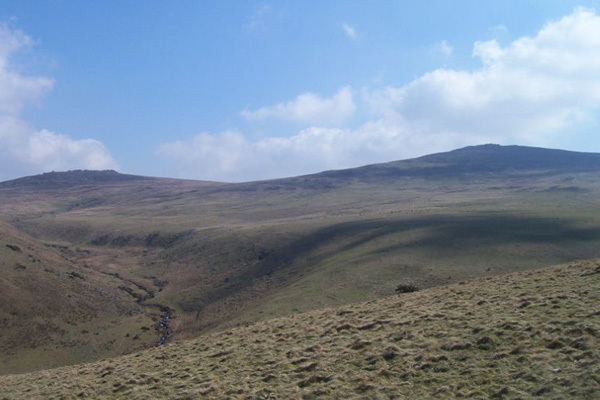 Walking resources – With a little bit of planning you can make the exploration of Dartmoor all the more safe and rewarding. No one wants to get bogged down with route plans and risk assessments however just reading up a little will set you off on the right footing. These walking resources again come in the form of recommendations and cover; Equipment to carry, Route plans, Risk Assessment, Walking Log of experience. In addition you may wish to consult the CRoW Act, The MOD Live-firing on Dartmoor notification webpage or the Dartmoor National Park webpage. The internet weather channels and Dartmoor webcam information can also bring a presh perspcective as to how your day will be. BBC Princetown weather is often a good proxy of what weather you can expect on the moors. Guided walks – Although these pages don’t overtly advertise this service. It is possible to hire the services of a guide to your moorland exploration. If you would like to contact us about booking an experienced moorland leader please contact us and we will endeabour to provide the right person for the right day. Guided walks also includes guided expeditions. For the full Dartmoor experience, it is wonderful to wake up in your cosy sleeping bag to the sound of a babbling fresh effervescent brook right outside your tent. Although the weather can never be fully predicted, the summer months and early Autumn offer the best chance of a grand weekend out.